I’m curious about backpacker hostels catering specifically for women travellers so on a solo trip to Queenstown I booked a bed in a Sanctuary Dorm at Base Backpackers on Shotover Street. Base is a big, busy hostel and as to be expected in a backpacker party town like Queenstown, the hostel is well used, and it shows. 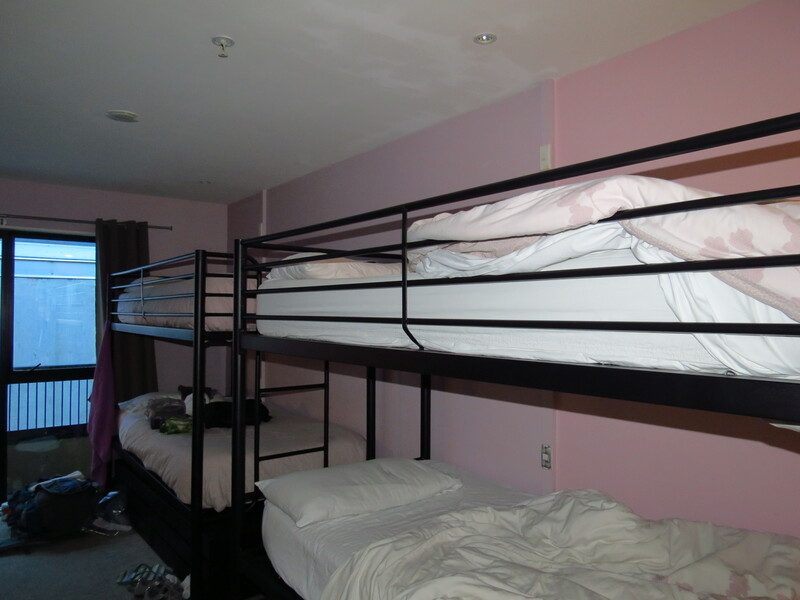 The girls only Sanctuary Dorms sleep 8, the bunk beds are made with decent linen and each bed has its own reading light. (Check in at 1pm to nab a bottom bunk). 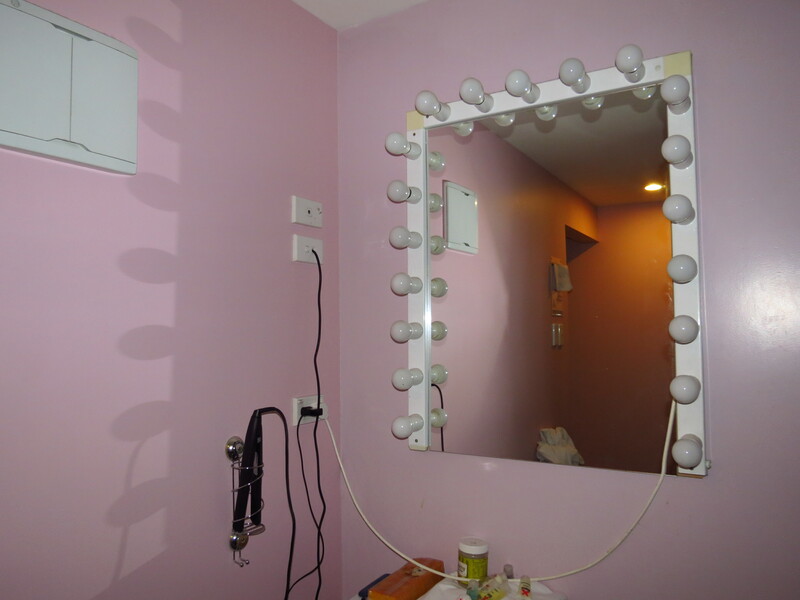 The pink walls and Hollywood style mirror add a touch of glamour and there’s a hair straightener for those who want to tame their hair after a jet boat ride. The ensuite has a toilet, shower and hand basin, each in separate cubicles. The dorm I stayed in wasn’t light and airy but that’s the trade off for being in a budget room in downtown Queenstown. The dorm was clean though, likewise the ensuite. At check-in Sanctuary guests are issued with a towel and toiletries, and a voucher for a free glass of bubbly in Base’s bar. Book online and a basic complimentary breakfast is included, although if cleanliness is next to godliness the dirty coffee cups are going straight to hell, I went to Joe’s Garage instead. I didn’t spend any time in the communal kitchen and lounge but they looked more functional than flash. A one night stay in a Sanctuary Dorm is $29*. Base is definitely more suited to young travellers who like to party, rather than the ‘young at heart’ like me. However it was good to experience one of the options for women travellers in NZ. If you’re looking for more women only dorms in hostels see our Women Travellers information. PS. Quite a few reviews mention noise issues – the only noise I heard was snoring. You might want to pack some ear plugs if you want a quiet night. *A 2% booking fee is charged for all online bookings. A refundable $20 key deposit is required on check-in. This entry was posted in Central Otago/Queenstown and tagged Base Backpackers Queenstown, Queenstown, Sanctuary Dorm at Base by thecuriouskiwi. Bookmark the permalink.